Russell Westbrook’s stats tonight broke a record that previously stood for 51 years. 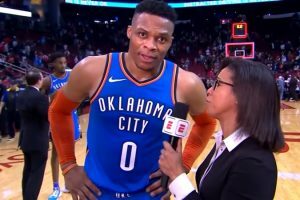 Westbrook came into the Oklahoma City Thunder’s game with the Portland Trail Blazers and did what he has become synomynous for — he scored another triple double. In the game against Portland, Russell Westbrook scored 21 points with 14 rebounds and 11 assists. That was his 10th triple-double in a row, breaking a record formerly held by Wilt Chamberlain. Westbrook is continuing to break records in Oklahoma City. The record from 1968 saw Chamberlain score nine straight triple-doubles and with 10 Westbrook now stands alone with the title. It also helps that Westbrook is doing this while the Oklahoma City Thunder are winning. The Thunder beat the Trail Blazers, 120-111, and have won nine of their last 10 games. This isn’t the only triple-double record that Westbrook holds. He has averaged a triple-double for two seasons in a row. He was only the second person in NBA history to average a triple-double in a season, tying Oscar Robinson. Robinson averaged his triple-double in the 1961-62 season. However, Westbrook followed up with a triple-double again in the 2017-18 NBA season — the only player in NBA history to do it twice. Westbrook averaged 31 points, 10.7 rebounds and 10.4 assists in 2016-17 and then 25.4 points, 10.1 rebounds and 10.3 assists in 2017-18. 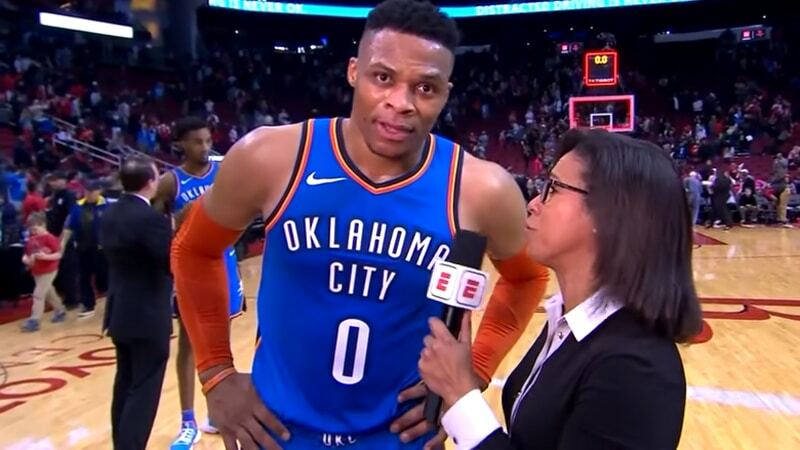 What is amazing is that through 47 games, Westbrook has averages of 21.2 points, 11.1 rebounds and 11.2 assists and is on pace to record his third straight season with a triple-double — maybe something that no one will ever match again.